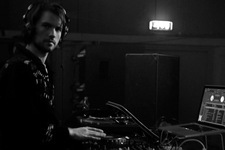 Amsterdam based Makam is one of the biggest names to come from the Dutch electronic music scene in the last ten years. Playing major clubs and festivals across the world week in week out, Makam has become a staple of what house music is supposed to be. 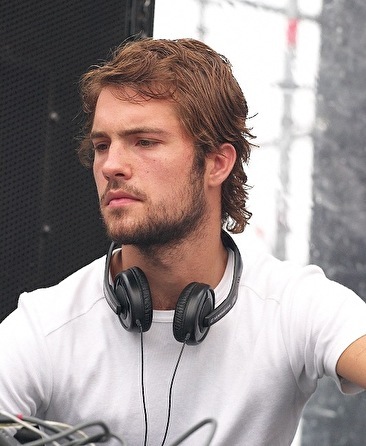 Born and raised in The Hague on the Dutch coast, Makam literally grew up with electronic music. With his family and friends being a constant factor of new musical input, Makam decided to take musical matters into his own hands. Immersing himself into music, he mastered the art of music production and found his own unique style and the rest is history. In the last ten years, Makam has shared his infectious vision of house music in some of the most respected clubs (Trouw, Panoramabar, Robert Johnson, Fabric, Rex) and festivals (Awakenings, Lowlands, WTTF) across the world. This summer will also see Makam play alongside the likes of Ricardo Villalobos and Sven Vath at Cocoon at Amnesia in Ibiza. 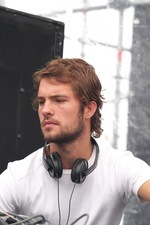 On the production side Makam found his home at Sushitech Records, where he has dropped audio gems like 'New York Hustler', 'Deep Loving' and 'How Long is Now' which were all highly acclaimed by Resident Advisor and Groove Magazine. De:Bug also rewarded 'How Long Is Now' with Vinyl of the Year in 2010. The EP 'What Ya Doin' (2012) on Amsterdams' very own Dekmantel label and his residency at one of the most respected clubs in the world, Trouw in Amsterdam, have fully established him as a leading producer and DJ. Makam is continually working on new projects like his own label 'Amulet'. All of this will be shared with the world very soon. Just keep your eyes open for Makam! beste man maakt echt triest dikke nummers! Heeeeeeel DIK! Klasse apart deze guy! Je was weer lekker bezig afgelopen donderdag @ ADB !! YEAH! HÉÉL VET! Kan ik uren naar luisteren! Chigago / Detroit Beatdown combined:in 1 woord Massive! The Hi-Hats of The Hague ontzettend ziek!!! Lekkere set op Awakefest09 man.­ Doorbunkeren zo! kkere set op Awakefest09 man.­ Doorbunkeren zo! indd heb hem op me pc heel lkkr! !